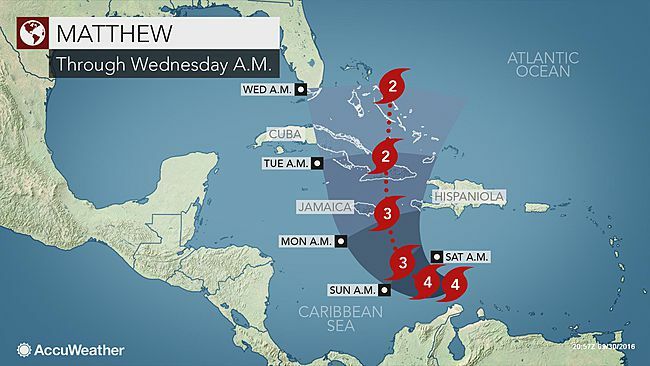 Hurricane Matthew will threaten the central and northern Caribbean with flooding rain, damaging winds and an inundating storm surge early next week. Matthew, currently a Category 4 (major) hurricane, will continue to move west-southwestward across the central Caribbean Sea before making an abrupt turn to the north this weekend. Matthew is the second major hurricane of the season, following Gaston from August.